“In response to the terrorist attacks in Paris last evening, the Think20 participants, representing member think tanks from around the world, express their deepest condolences, support and far reaching solidarity toward the people of France. 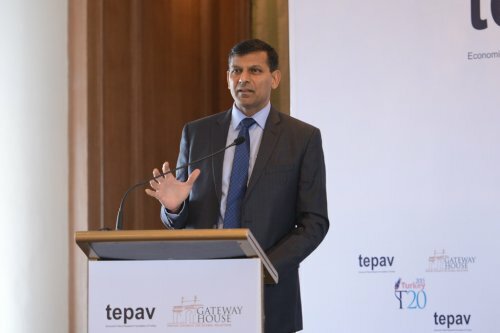 Dr. Raghuram Rajan, Governor, Reserve Bank of India, delivered the keynote address at India's first Think20 (T20) meeting organised by Gateway House with TEPAV, on the "Global Economy and Challenges for Multilateral Policies." "We need new rules of the game on policy. And I think we always retreat as central bankers to say we have a domestic mandate. What we need is a political consensus to go beyond domestic mandates to think in this integrated world where monetary policies affect each other, what might be a sensible way of moving forward. I don’t want to pose any easy solutions to this – happy to discuss it in a debate, but it is something that we need to do. Think20 Event in Mumbai brings together Dr. Raghuram Rajan, Governor, Reserve Bank of India and experts from foreign and Indian think tanks, business leaders from India, and government representatives from the G20 countries. 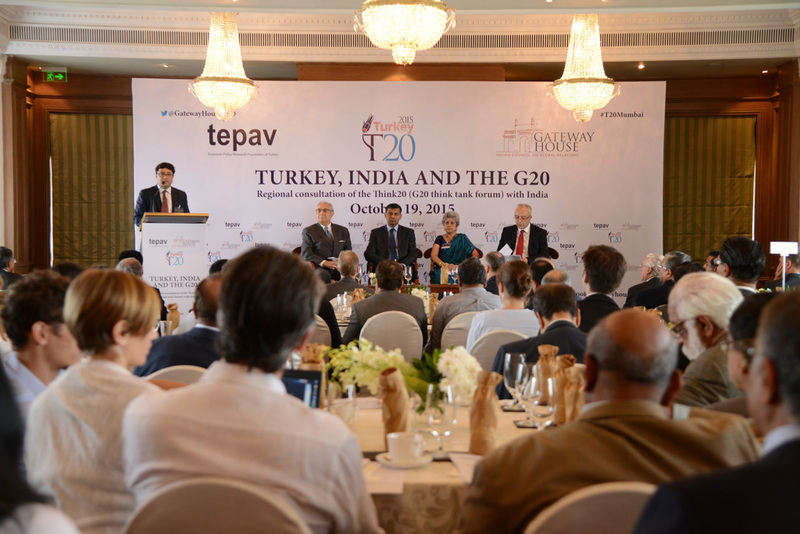 On 19 October 2015, TEPAV and Gateway House co-organized the regional consultation meeting “Turkey, India and the G20” in Mumbai. The meeting was the first Think20 event to be held in India bringing together over 50 experts from foreign and Indian think tanks, business leaders from India, and government representatives from the G20 countries to discuss issues of global economic governance and foreign economic policy. 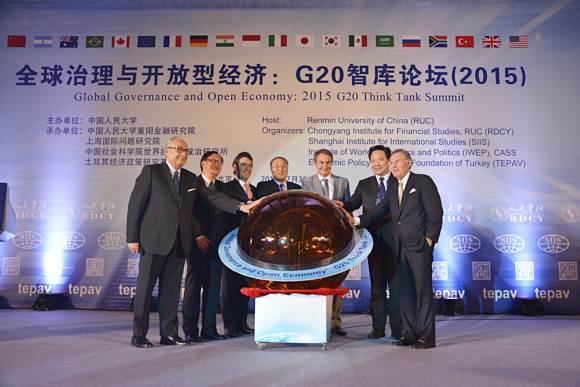 The 3rd G20 Think Tank Summit was held in Beijing, China from July 30 to August 1, 2015. The Summit was co-organized by the Chongyang Institute for Financial Studies, Renmin University of China (RDCY), Shangai Institute for International Studies (SIIS), Institute of World Economics and Politics, Chinese Academy of Social Sciences ( IWEP-CASS) and Economic Policy Foundation of Turkey (TEPAV), bringing together policymakers, foreign service representatives, experts from think tanks, international organisations, scholars and business leaders. 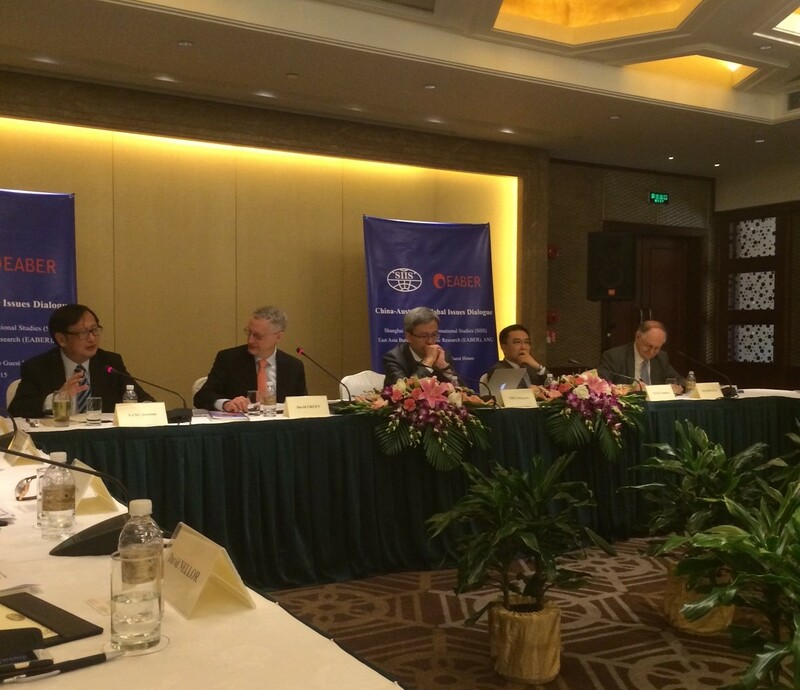 Shanghai, 15 August 2015 - TEPAV / T20 contributed to the workshop "China-Australia Global Issues Dialogue” organized by the Shanghai Institutes of International Studies and National University of Australia. Organized for the third time, the dialogue included 30 experts on global issues from China, Australia, India, Japan and Singapore. TEPAV was invited to represent Turkey, which the current G20 chair country. Among the issues discussed in the dialogue were the policies to foster innovation that leads growth, balance technology-induced unemployment, as well as short-term risks created by Fed’s planned rate increase and Eurozone debt crisis. Recent market developments in China were also a focus issue. 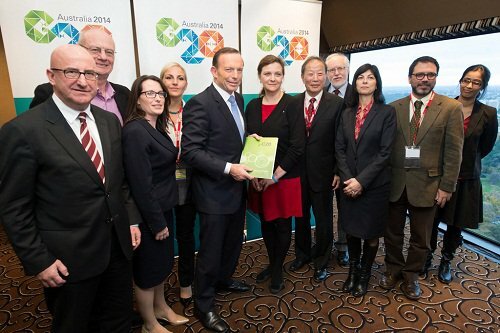 The experts questioned the feasibility of the 2% additional growth target by 2018 set in the G20 Brisbane summit in 2014, and elaborated on the political economy barriers to reform in the upcoming election years in most G20 countries. Shanghai, China, 27-28 July 2015 - The first T20 conference on energy in 2015 was held in Shanghai on 27-28 July, jointly by Shanghai Institutes for International Studies (SIIS), Lowy Institute for International Policy, Korea Development Institute (KDI), Centre for International Governance Innovation (CIGI) and Economic Policy Research Foundation of Turkey (TEPAV). Taking the low oil prices as the center of the discussions, the conference concentrated on the role of G20 in global energy governance and coordination of energy policies in relation to climate change. Addis Ababa, Ethiopia, 14 July 2015 - On the margins of the Third International Conference on Financing for Development, TEPAV, as the chair of Think 20 Turkey, co-organized two side events that convened business leaders, senior representatives of multilateral organizations and other high-level participants. 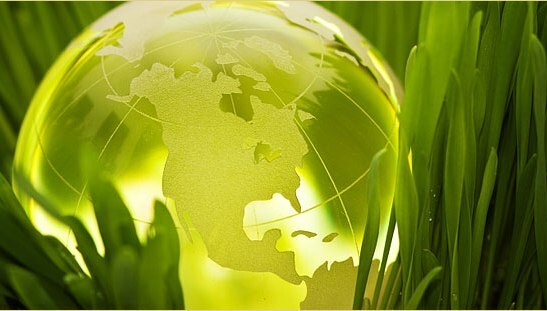 The Addis Ababa conference has been a major step in the lead-up to the upcoming United Nations Summit in September, where world leaders will adopt the Sustainable Development Goals (SDGs). On June 13rd, along with the G20, Civil 20 and Network of Southern Think Tanks (NeST), Think 20 organized an event to discuss the development priorities of the G20. The event was opened with speeches by Deputy Prime Minister Ali Babacan and G20 Sherpa Ambassador Ayse Sinirlioglu, and included a panel discussion afterwards. Amar Bhattacharya, Senior Fellow at Brookings Institution, and Ussal Sahbaz, Director of G20 Studies Center at TEPAV, were the speakers representing Think 20. I am pleased to be here today representing the Global Commission on Internet Governance, launched by CIGI and Chatham House. We believe the Internet is at a critical point in its development. The tone of the debate on Internet governance has become more discordant of late. Strong competing interests are pushing for increased government control and a greater voice in the governance of the Internet – both its infrastructure and what we do with it. The outcome is not at all clear, but whatever the result it will certainly affect a broad sweep of entangled economic, technical, regulatory, political and social interests. The Commission’s goal is to provide guidance for addressing the interests and values of all states – both for the advanced democracies and for states that are uncertain about the future of multi-stakeholder governance on issues including governance legitimacy, regulation, innovation, online rights and systemic risk. 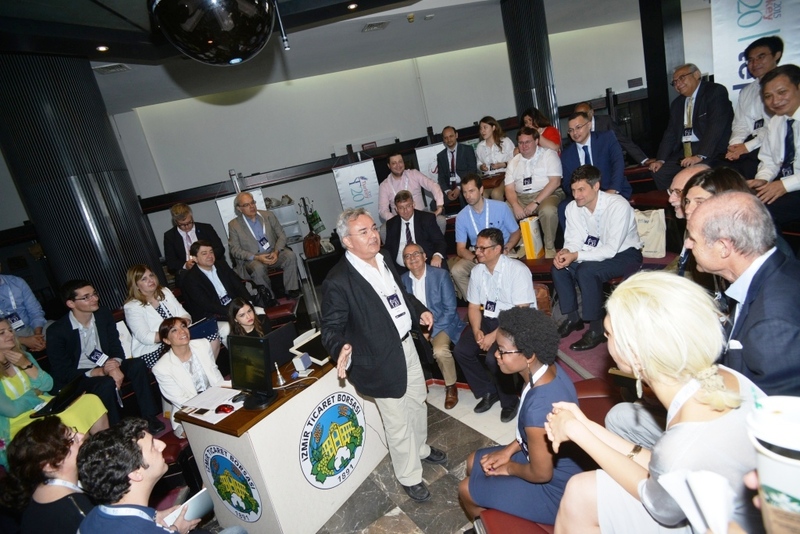 Over 60 people from 19 countries joined the Think 20 workshop in Izmir and Bodrum on June 13-15. Izmir, Turkey Over 60 people from prominent think-tanks, research institutions, and international organizations from across the globe attended the Think20 Turkey workshop last week. The event drove a large crowd from 19 countries – G20 states, as well as non-member countries. This year, T20 Turkey has already hosted a dozen events locally and globally – the most recent ones in Berlin and Ottawa in May. The Izmir workshop has been the largest gathering this year. It marked the zenith of T20 Turkey deliberations, and reflected on the numerous discussions among experts to produce succinct ideas to help the G20 deliver concrete and sustainable policy measures. 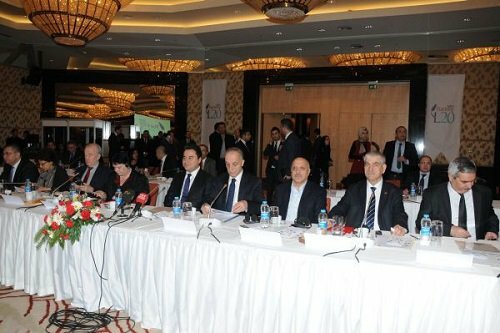 Ottawa, Canada – The T20 has concluded its meeting in Ottawa, Ontario, Canada, with a bold statement outlining the T20’s intended role moving forward, and key recommendations for the G20 Turkish Presidency for 2015. The statement is available at: www.cigionline.org/think20ottawa . Think20 Event in Washington brings together Turkey’s Deputy Prime Minister Ali Babacan and representatives from leading think tanks. 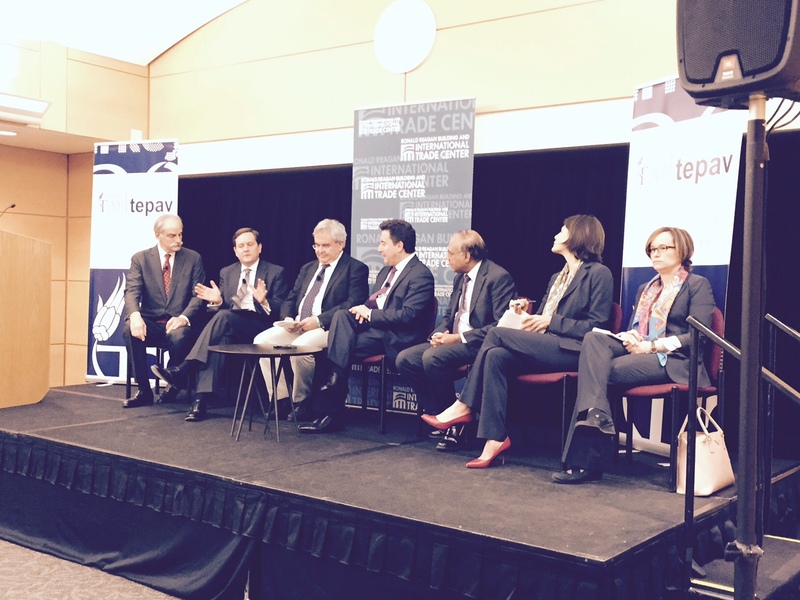 Washington - TEPAV organized the Think-20 meeting titled “Challenges to the Global Economy and the Role of the G-20” on April 16 at the Ronald Reagan building in Washington D.C. The keynote speaker Deputy Prime Minister Ali Babacan drew attention to the high representation power of the G20 platform - G20 countries make up two thirds of the world’s population, 75 percent of global trade and 85 of global GDP. DPM Ali Babacan also emphasized that the G20 includes both advanced and developing countries from all continents that contributes to the legitimacy of its decisions. 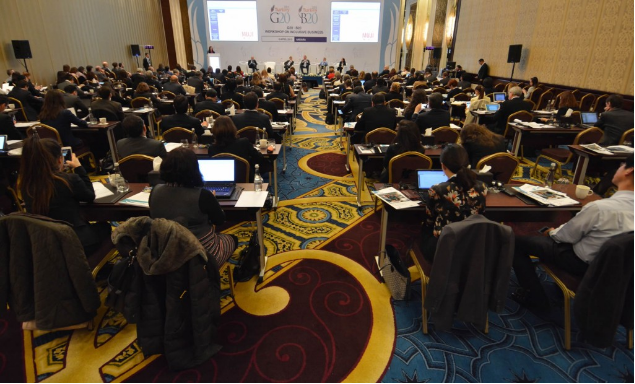 Ankara hosted the G20 Workshop on Inclusive Business (IB). 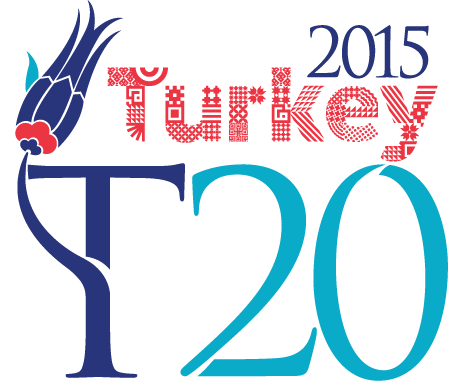 ANKARA – On April 8th, 2015, Ankara hosted the G20 Workshop on Inclusive Business (IB). At the event, a slew of speakers from business, government, and academia spoke on the topic of IB, all with their own unique perspective. Those who spoke on behalf of the private sector ranged from burgeoning entrepreneurs to representatives of multi-billion dollar corporations. Vodafone Turkey’s Hülya Uçarlar represented the latter perspective, as she spoke on the telecommunication company’s efforts with rural farmers. Lars Krückeberg, on the other hand, spoke of his efforts leading the young startup SolarKiosk. Governmental representatives, including Carolina von der Weid (Brazil) and Ana Luisa Saaverda Granja (Mexico), spoke on how the public sector could encourage and promote inclusive business efforts. 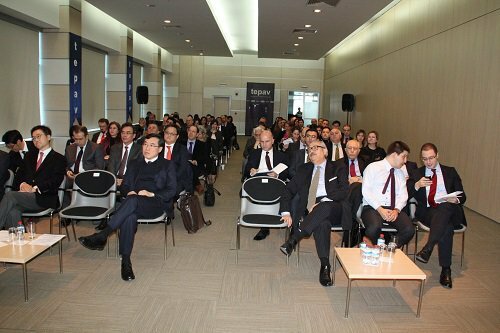 A meeting jointly organized by TEPAV and its Korean counterpart KIEP opened to discussion the roles of the Korea and Turkey in G20 and their industrial policy experiences. 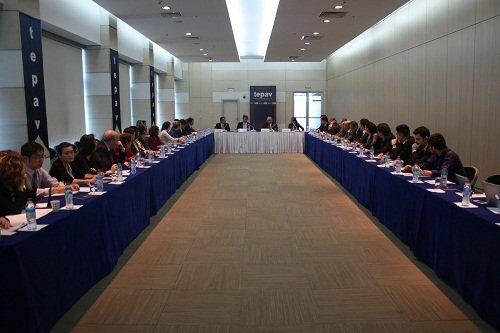 ANKARA – In the context of its T20 agenda, TEPAV organized a meeting meeting with the Korea Institute for International Economic Policy (KIEP) on Friday, 13 March 2015. The meeting was opened by Bozkurt Aran, Director of TEPAV Center for Multilateral Trade Studies, and Il Houng Lee, President of KIEP and Former G20 Sherpa of the Republic of Korea. Opened with the welcoming remarks by TEPAV Director Sak, the event hosted Deputy Prime Minister Babacan, TOBB President Hisarcıklıoğlu, and ITO Chair Çağlar. ISTANBUL – Public launch of the T20 Turkey, one of the G20 outreach groups of which represents think-tanks, was held on Wednesday, February 11, 2015 with a meeting themed “Transforming Global Governance.” Opened with welcoming remarks by Güven Sak, Director of T20 coordinator TEPAV, the event was attended by Deputy Prime Minister Ali Babacan, TOBB President Rifat Hisarcıklıoğlu, and Istanbul Chamber of Commerce (ITO) Chair İbrahim Çağlar. During the two-day event, an intensive program was carried out in nine meeting sessions. 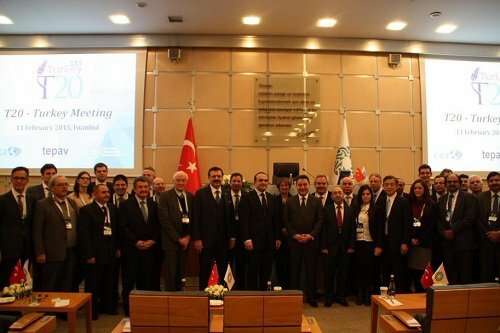 On the first day, T20 participants met at the Boğaziçi University rectorate conference hall. The meeting started at 10:00 with the welcoming remarks by Şevket Pamuk, Director of the Boğaziçi University, Atatürk Institute for Modern Turkish History, and Güven Sak, TEPAV Director. Attending the launch event, Bozkurt Aran, Director of the TEPAV Multilateral Trade Studies Center, informed the attendees about TEPAV’s priorities for the T20. 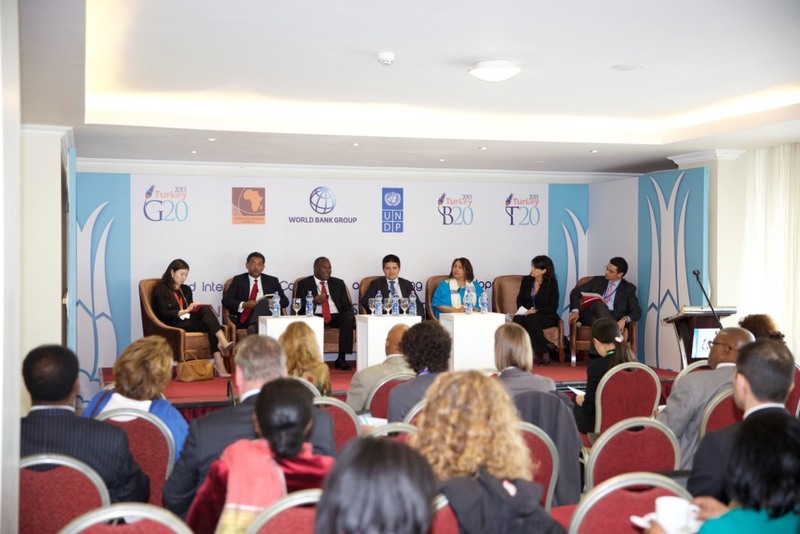 ANKARA – The launch event of the Labor 20 (L20), one of the five outreach groups of G20, was held in Ankara on Wednesday, 4 February, 2015. Discussions during the meeting, entitled “Job-Generating Growth, Fair Wages, and Inclusive Development,” focused on youth unemployment, income inequality, the declining share of wage earners in GDP, and jobless growth. The key themes of the meeting were sound and balanced economic growth, and labor force quality. Launched at TEPAV, a report prepared for the Government of Sweden investigated how protectionist policies of the post-2008 crisis era affected export-led growth and development performance across LDCs. 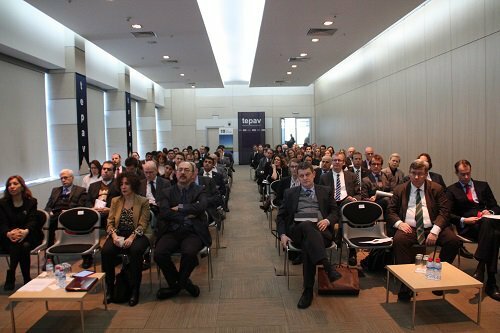 ANKARA – On Thursday, 29 January, 2015, a meeting was held at TEPAV to launch a report entitled “Throwing Sand in the Wheels: How Protectionism Slowed LDC Export-Led Growth.” According to the report, protectionist policies have reduced export growth in the least developed countries (LDCs) by 23.8%. The report, prepared for the government of Sweden by Prof. Simon J. Evenett and Dr. Johannes Fritz of St. Gallen University, investigated how protectionist policies of the post-2008 crisis era affected export-led growth and development performance across LDCs. 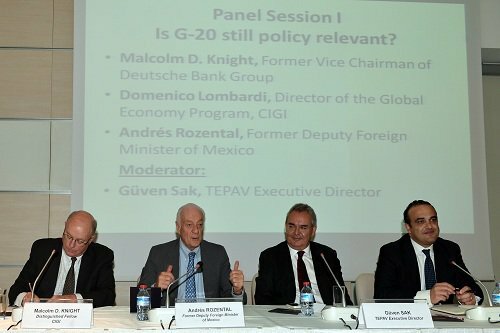 Panels addressed the G20’s policy relevance in the current global environment and possible roadmap for Turkey’s success as the G20 president. Australian Ambassador James Larsen stated that they are working with Turkey for a successful transfer of G20 presidency on December. ANKARA – TEPAV and the Australian Embassy co-organized a meeting titled “G20 2014 Growth Strategies: Improving the Business Environment” on Wednesday, 20 March 2014. The meeting moderated by Bozkurt Aran, Director of TEPAV's Center for Multilateral Trade Studies, focused on the 2014 growth strategy of the G20. 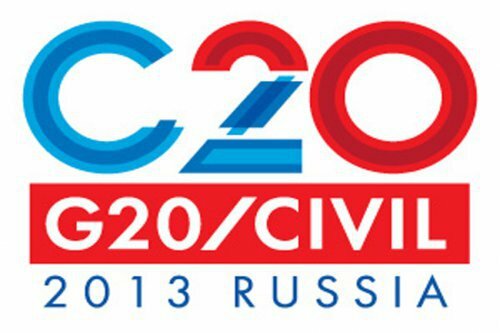 ANKARA – The Civil G20 group, composed of NGOs and academics from member states, convened in the context of the G20 activities this year under the presidency of Russia analyzed the national policies of member states in terms of reducing inequality. The Turkey chapter of the report, which also involved proposals for strong growth, was prepared by TEPAV. The report, titled “Civil-20 Proposals for Strong, Sustainable, Balanced, and Inclusive Growth,” was prepared by a group of researchers from member states in partnership with the United Nations Development Programme and was coordinated by the International Organizations Research Institute of the National Research University Higher School of Economics (IORI HSE) and the G20 Research Group of the University of Toronto. 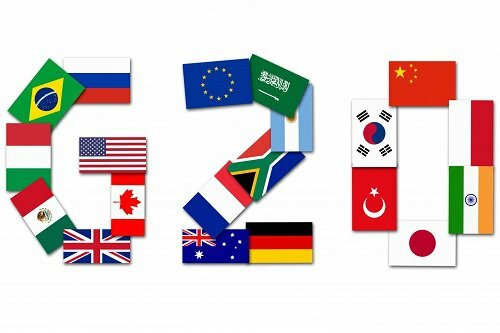 The report presents a series of proposals to decision-makers of G20 countries and aims to contribute to the policy debate in member states on overcoming economic inequalities. 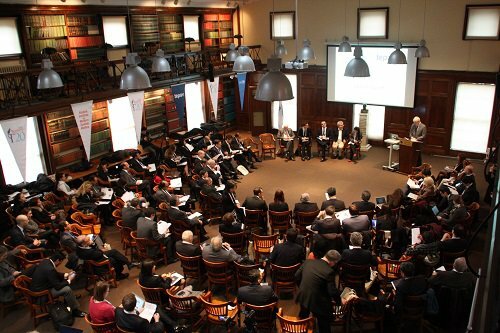 Among the influential think-tanks to be convened at the Summit, TEPAV will deliberate how the G-20 can be transformed into a global governance mechanism.